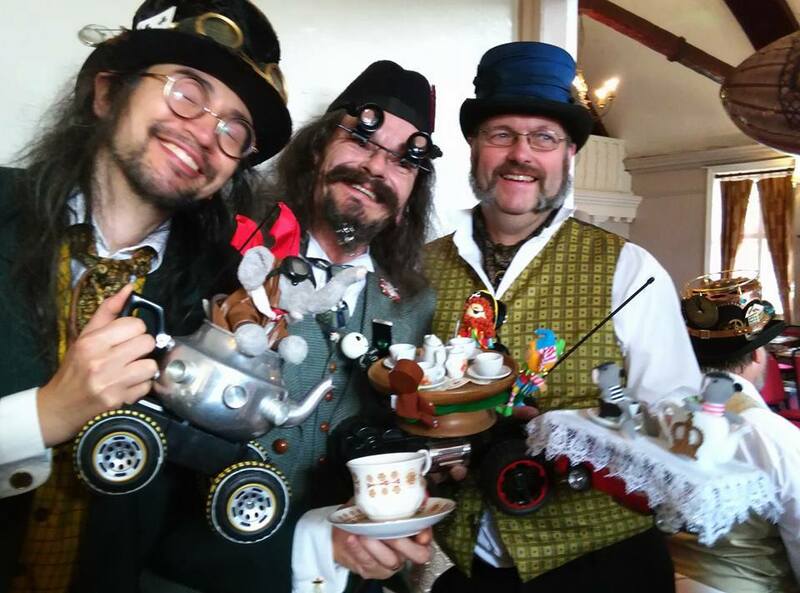 What a Great Time We Had..
We had a fab time at The Surrey Steampunk Convivial, another great job Ben, my man servant entered the teapot racing and had a fab time. Well done to Ben the worthy WINNER.. The Marvelous Teapot racing teama fab time, Ben was the overall winner, well done gents. Great meeting up with friends and getting to know new ones.